Alkyl phenol is produced by the alkylation of phenol by reacting with olefin, aliphatic alcohol, or chloro-hydrocarbon. 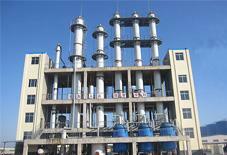 They are important intermediates for fine chemical synthesis, widely applied in the manufacture of surface active agent, anti-oxidation agent, paint and coating. SL TEC offers the technology of phenol’s alkylation into o-cresol, and cresol’s alkylation into 2-t-butyl-p-cresol, 6-t-butyl-m-cresol, 2,6-di-t-butyl-p-cresol, 2,3,6-trimethylphenol (2,3,6-TMP) and etc. Also SL TEC supplies the technology of producing m-cresol/p-cresol by the isomerization of o-cresol. Hereinafter 2,3,6-TMP production technology will be introduced as an example. 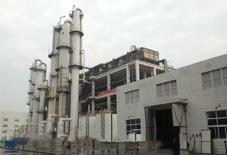 2,3,6-TMP is mainly used in pharmaceutical industry to synthesize vitamin E; it is the monomer for the production of thermoresitant PPE engineering plastic and the feedstock for plastic alloy production; also 2,3,6-TMP is the necessary intermediates for the manufacture of some pesticides, disinfectants and etc. 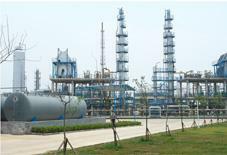 Compared to the process starting from phenol and methanol, SL Tec offers the one-step process starting from m-cresol and methanol under gas phase catalysis. The catalyst is based on Fe2O3, with the conversion of m-cresol reaching 98% and the yield reaching 98%.